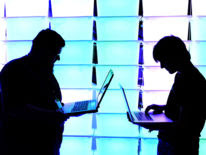 Some £440m will be used to connect properties in the hardest-to-reach parts of the UK under the Broadband Delivery UK programme (BDUK), Culture Secretary Karen Bradley said. The announcement comes a month after Chancellor Philip Hammond pledged £1bn of Government investment in "full-fibre" broadband , a handout which means at least two million more homes and businesses could get access to speeds of more than 1Gbps. Last week, the Government also faced calls to "play an active role" in the future rollout of 5G, as a report revealed that Albania and Peru have better mobile phone coverage than the UK . "fast and reliable internet connections which are increasingly at the heart of modern life". "Strong take-up and robust value- for-money measures mean £440m will be available for reinvestment where it matters - putting more connections in the ground. "This will benefit around 600,000 extra premises and is a further sign of our commitment to build a country that works for everyone." The fund is made up of £150m in savings from "careful contract management" and £292m released through a clawback system that reinvests money when people take up superfast connections installed under the scheme. "Broadband speeds aren't boosted automatically - it needs people to sign up. "Increasing take-up is a win-win-win: consumers get a better service, it encourages providers to invest, and when more people sign up in BDUK areas, money is clawed back to pay for more connections." BT said the investment in superfast broadband is "a huge success story for the UK", adding that the BDUK project "shows exactly what can be achieved through close partnerships between the public and private sector".